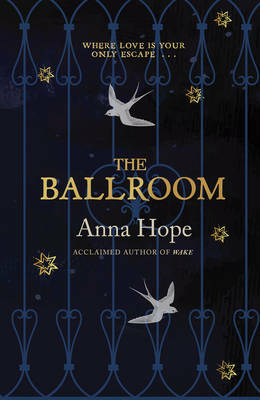 Top of the list of my second batch of February books to look out for has to be Anna Hope’s The Ballroom. Her debut, Wake, was one of those novels in the tidal wave of fiction that dealt with the First World War and its aftermath back in 2014. I liked it very much and have hopes for this one which is set in the summer of 1911 in an asylum on the edge of the Yorkshire moors where men and women meet briefly once a week to dance. ‘A tale of unlikely love and dangerous obsession, of madness and sanity, and of who gets to decide which is which’, according to the publishers. I suspect this one will be hyped to the skies but it may well live up to it, or close at least. Lovely jacket too – almost a match for the gorgeous Wake cover. I’ve long been a fan of Julie Myerson’s fiction all the way back to Sleepwalking but the last one or two novels seemed a little formulaic to me. The synopsis of The Stopped Heart sounds as if it may well be in the same vein. A good deed to a stranger, a century ago, seems to have left its mark on the apparently idyllic cottage where a couple are trying to make a fresh start after the loss of their child. ‘The perfect place to forget. To move on. But in The Stopped Heart, the past never dies.’ say the publishers. Hmm… Not at all sure about that but once more for old time’s sake, I think. At one stage I was convinced that Tim Parks had a huge alimony bill, either that or a substance abuse problem, so great was his output. It turned out to be neither as the happily married, sober Parks revealed in his moving memoir on his driven nature and inability to stop working, Teach Us to Sit Still. His new novel, Thomas and Mary, is about a long-married couple who are facing the prospect of separating. Billed as ‘a love story in reverse’ Parks’ novel chronicles Thomas and Mary’s marriage from its first heady days in what the publishers have described as ‘a fiercely intimate chronicle of a marriage’. Sounds quite appealing to me. Entirely different, Sunil Yapa’s debut, Your Heart is a Muscle the Size of a Fist, is set in Seattle against the backdrop of the 1999 World Trade Organzation protest. Victor, the estranged son of Seattle’s police chief, finds himself homeless after a family tragedy. On a day that will see the city under siege from protesters, Victor and his father are set on a collision course. This one could go either way but it has an unusual setting and that’s an eye-catching title. 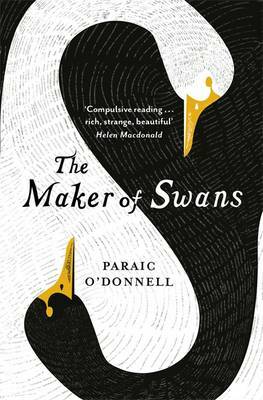 I’ve seen Paraic O’Donnell’s The Maker of Swans talked about on Twitter – not always a good thing – but a striking jacket and an intriguing synopsis has piqued my interest. Once a man of note with extraordinary gifts, Mr Crowe has given himself over to earthly pleasures, living in faded grandeur with his ward, Clara, and his manservant. When he commits a crime of passion he draws the attention of the head of the secret society to which he belongs, attention that’s soon diverted to Clara who, it seems, may be able to save them all. Sounds like it might be just the ticket for long dark evenings, if done well. That’s it for February. Lots of reasons to wrap up warm and stay inside. As ever, a click on a title will take you to a fuller synopsis and If you’d like to catch up with the first set of February titles they’re here. First batch of paperbacks next week. This entry was posted in Random thoughts, Reviews and tagged Anna Hope, Books published in February 2016, Julie Myerson, Paraic O'Donnell, Sleepwalking, Sunil Yapa, Teach Us to Sit Still, The Ballroom, The Maker of Swans, The Stopped Heart, Thomas and Mary, Tim Parks, Wake, Your Heart is a Muscle the Size of a Fist on 15 January 2016 by Susan Osborne. I can vouch for The Ballroom/add to the hype, I thought it was wonderful (and I was quite worried about not liking it after loving Wake). Of the others, I have the Yapa, which seems to be getting rave reviews – I love a good protest novel – and The Maker of Swans. I follow O’Donnell on Twitter and he’s a writer who uses the medium really well, I think. I’m planning to carve out a weekend to read that one. Thank you! Pleased to hear that about The Ballroom. I thought Wake stood out above the crowd of novels that came out about WW1 and its aftermath. I loved Wake, so I’m really looking forward to The Ballroom. I don’t think it’s available here, though, for another few months. 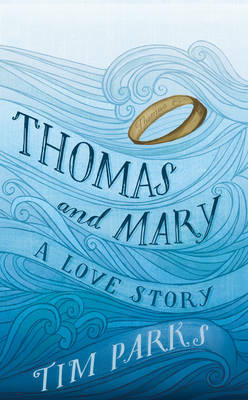 And I like books about marriage, so Thomas and Mary has piqued my interest. Those are my two favourites from this batch. I hope you won’t have to wait too long for The Ballroom, Naomi. You remind me that I still have a copy of ‘Wake’ waiting to be read. (Oh the shame of it!) Maybe I had better read that before I start on ‘The Ballroom’ and also ‘The Maker of Swans’ which looks interesting too. I think you’d enjoy it, Alex. Worth waiting for. Happily I just received ARCs of both Thomas & Mary and The Ballroom – have heard such good things about The Ballroom and looking forward to it. Oh, excellent. I’ve a copy of The Ballroom but not Thomas and Mary. I’ll look forward to seeing what you think of it. Looks like some great titles coming out in February! There certainly are, Claire, and the paperbacks lineup is pretty good, too!